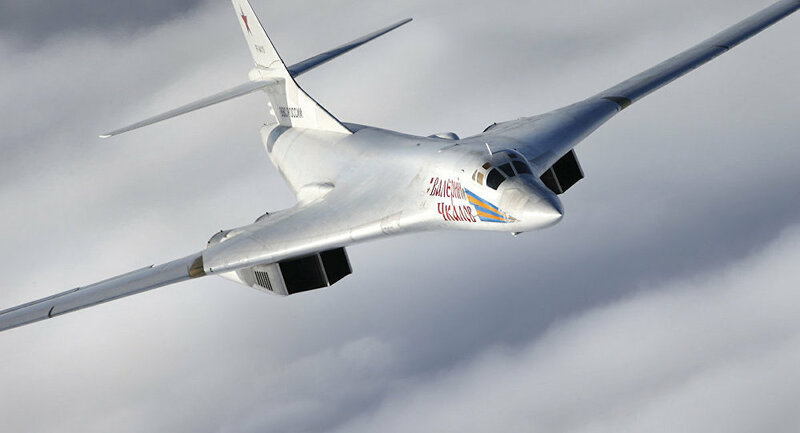 MOSCOW (Sputnik) - On Saturday, the Russian Defence Ministry said that two Tu-160 strategic bombers had carried out a planned flight over the neutral waters of the Arctic Ocean, spending over 15 hours in the airspace. The ministry noted that all flights had been conducted in strict accordance with the international rules on the use of the airspace. “An E-3 AWACS, 2x F-22, 2x CF-18 fighter jets from North American Aerospace Defence Command (NORAD) positively identified 2x Russian Tu-160 Blackjack strategic bombers entering the Canadian Air Defence Identification Zone on January 26, 2019. Bombers remained in international airspace and did not enter sovereign territory,” NORAD wrote on Twitter. Two F-22 Raptor fighters of the United States Air Force, two CF-188 fighters of the Royal Canadian Air Force as well as the E-3 Sentry airborne early warning and control aircraft have “identified” two Russian Tu-160 bombers in the international airspace near Canada, NORAD said on Sunday.